These Portuguese roasted apples with honey, cinnamon and Port wine (maçãs assadas com mel, canela e vinho do Porto) make a great tasty snack. Wash the apples well, remove the pits and cut the peel of the top of the apples so they do not burst. Put the apples in a baking dish and inside each apple, place a cinnamon stick. 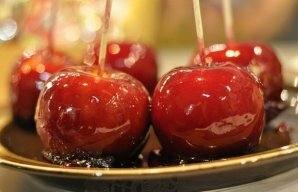 Inside each apple put a tablespoon of honey and drizzle all the apples with the Port wine and sprinkle them with brown sugar (to taste). Bake for about 20 minutes at 200°C or 400°F. Remove the apples from the oven and serve them warm. 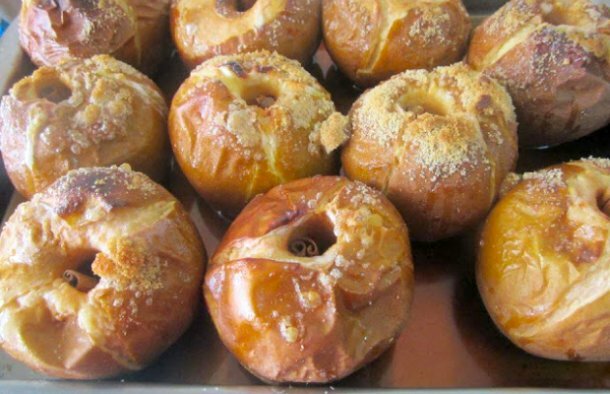 This Portuguese love apples recipe (receita de maçãs do amor) is easy to make and these make a great snack for kids and adults alike.